Everyone is familiar with the old trope of going out with your friends on a Friday night, settling into theater seats with some popcorn or soda, and watching a scary movie. Like Michael Jackson in the “Thriller” music video. Even if you’re not that much into horror yourself, you’ve likely seen this image before. The movie might not necessarily be good, but for many people, it’s still an idea of a fun night. Truth or Dare is a great type of movie for this. It’s surprising and scary, shallow enough to make fun of but still deep enough to be genuinely clever. 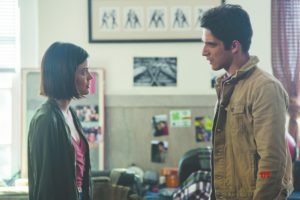 The film tells the story of Olivia (Lucy Hale, Pretty Little Liars), a kind and charitable girl who is enticed into joining a spring break trip to Mexico by her best friend, Markie (Violett Beane, The Flash). While they’re there, they end up getting roped by a stranger into a game of Truth or Dare. When they return to school, they find that the game is possessed with a demon that has followed them back, and now they must take turns being forced to play with the demon. If they answer untruthfully, fail to complete a dare, or refuse altogether, they will be killed. In a lot of ways, this movie follows a typical, formulaic scary-movie structure. Without naming names, many of the friends are picked off one by one in a series of violent deaths that each manage to be shocking, despite the often-predictable nature of the movie. Olivia and Markie, the main characters—each a “Final Girl” in her own way—eventually end up returning to the Mexican mission where they initially played the game in an effort to set everything straight. When people are possessed temporarily by the demon, their faces take on smiles with a freakish Uncanny Valley quality, which is genuinely disturbing to see. Additionally, many of the characters fall into convenient and general archetypes, particularly when it comes to the side character friends. Ronnie (Sam Lerner) is an insensitive jerk nobody really wants around. Penelope (Sophia Ali) is an alcoholic. Brad (Hayden Szeto) is the perfect son who’s hiding the fact that he’s gay from his police officer father—who, incidentally, manages to crop up out of nowhere at even the most random and improbable places and times. Each character has one defining feature about them. 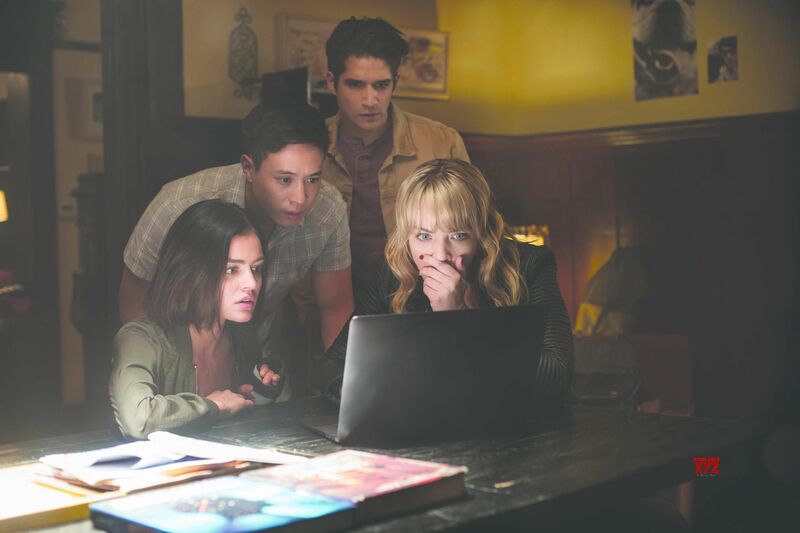 Only with Olivia, Markie, and Lucas (Markie’s boyfriend and Olivia’s crush, played by Tyler Posey), do these features begin to expand into truly fascinating character arcs. At the center of the movie is the friendship between Olivia and Markie, established at the very beginning. The repeated line, “Between you and the world, I choose you,” is crucial, as over the course of the movie this friendship is tested in ways that range from trivial to terminal. The audience is coaxed into caring about each of them. Markie is grieving the death of her father, who took his own life, and even at the times when the story seems to flirt with turning her into an antagonist, it is always easy to sympathize with her point of view. Hale and Beane have tangible, believable chemistry, and one finds oneself rooting just as much for them to stay friends as for them to make it out of everything alive. In many ways, Truth or Dare can be said to be another drop in the bucket of predictable, college-student-focused, slasher horror movies. But the characters are real enough (and the performances strong enough) that it’s still engaging, and it is truly clever in a lot of ways, featuring some major plot twists—again, some of them easily foreseeable, but some still totally out of the blue. It’s not the type of movie you’d root for at the Oscars, but it is the type of movie that will show you a good time if you’re just in the mood to buckle down with some friends and enjoy some good, old-fashioned scares. Truth or Dare is currently showing at multiple local theaters, including the Quality 16 and Rave Cinemas.